True to their word and faithful to their loyal fans, the Last of the Street Survivors Farewell Tour continues in 2019 with tickets for U.S. dates going on sale to the general public this Friday, February 8th at 10 am local time at LiveNation.com. Citi is the official pre-sale credit card for the tour. As such, Citi cardmembers will have access to purchase pre-sale tickets beginning Tuesday, February 5th at 10 am local time until Thursday, February 7th at 10 pm local time through Citi’s Private Pass program. The farewell tour will continue to take the band across the country and around the globe through the remainder of the year giving fans one last unforgettable night of classic American rock ‘n’ roll. The Southern rockers will be joined for select dates by special guests including: Hank Williams Jr., Bad Company and Cody Jinks. 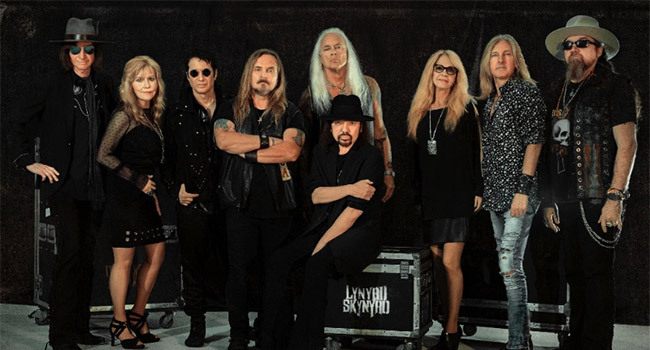 “We’ve said we want to play every venue and market we’ve visited one last time, so we get to see all of Skynyrd Nation, so that’s the plan,” states Van Zant.